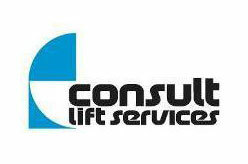 Established in 1998, Consult Lift Services Ltd is a lift company based in Scotland. Consult Lifts offers all type lift and elevator solutions to business and institutions throughout Scotland and the UK. Supply and Install New Lifts (All types and makes of lifts including Service Lifts, Goods / Passenger Lifts, Non-Commercial Vehicle Lifts, Scissors Platforms, Platform Elevators, Platform Lifts and Stair Lifts for Wheelchairs).